Turkey Day is just around the corner. 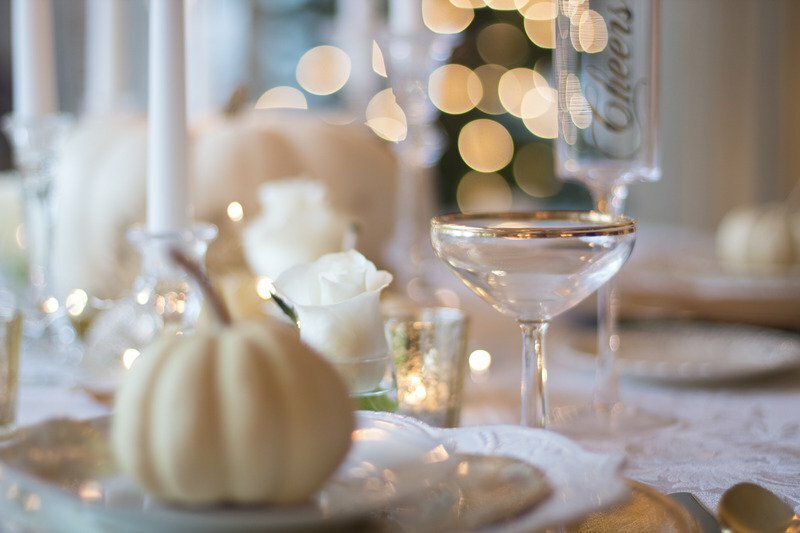 At Wine4Food, we love this holiday that celebrates some of our very favorite things: food, drink, friends, and family. As you make your shopping lists and wine store treks, we hope you’ll add a few bottles of Alsatian wine to your festivities. Why? Alsatian wine is incredibly crowd-pleasing and especially food friendly. Acidity, minerality, and complex structure make the region’s wines excellent choices for serving with your Thanksgiving dinner. They also tend to be surprisingly affordable—you can find great quality for good value. The Alsace wine region, from Mulhouse on the south to Strasbourg on the north, is dense with rolling hills and picturesque, wooded towns. To the west lie the Vosges mountains, and to the east, the Black Forest. 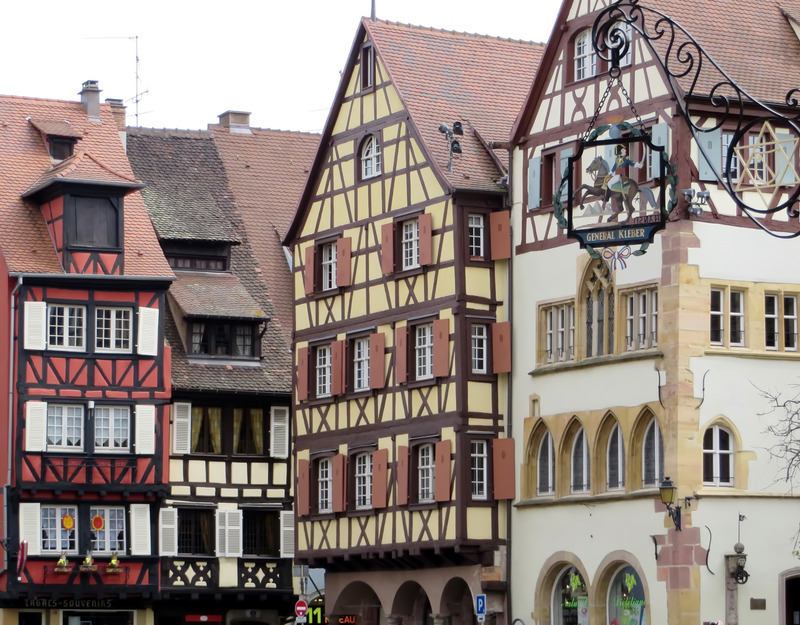 Because of its Germanic influence—throughout history, Alsace has been a part of Germany—the region is France’s only Appellation d’Origine Contrôlée region to produce mostly varietal wines, often from similar grape varieties to German wine. And while it has influences from France, Germany, and Switzerland, the region’s wine and gastronomy is all its own. Alsace is known mostly for its white wines, from mostly dry Riesling to Gewürztraminer, Pinot Gris, Muscat, Sylvaner, and Pinot Blanc. 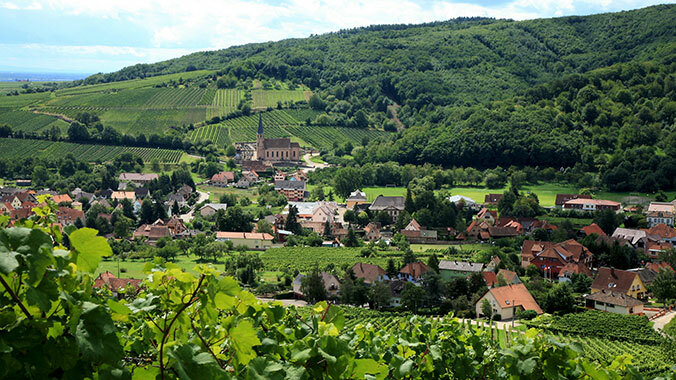 Alsatian producers make Pinot Noir, too, although it can be difficult to find. Cave de Ribeauvillé is a collective of winegrowers who are making some of Alsace’s most wonderful wines. They make multiple styles of the 7 grapes of Alsace (plus Crémant), plus harvest grapes and produce wines from all three Grand Cru regions of Ribeauvillé. Cave de Ribeauvillé’s Worldwide Exports Manager, David Jaegle, spoke to us about Alsatian wine and Thanksgiving. It may an all-American holiday, but Alsatian wine will beautifully compliment turkey, stuffing, and even the pumpkin pie. “Alsace wines are very easy for pairing with fish, shellfish and white meat because they are fresh, fruity and/or flowery, with an acidity level that creates the best balance for your taste buds,” says Jaegle. 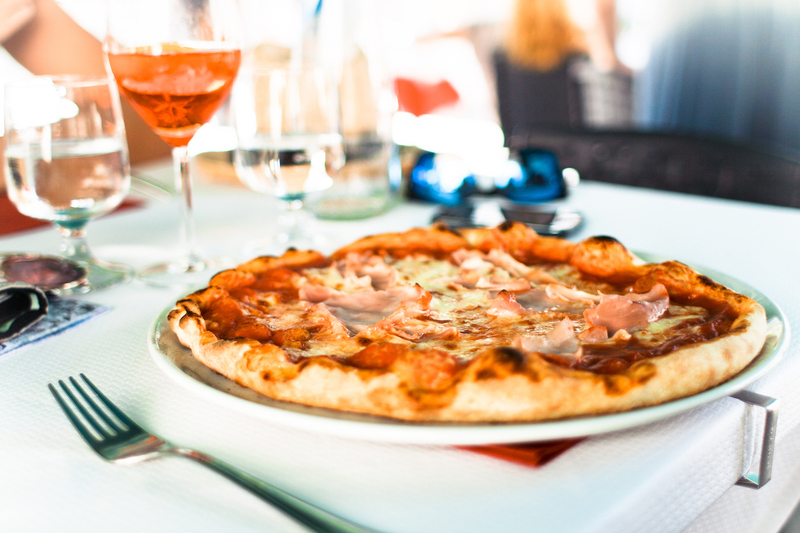 “The acidity of Alsace wines accents the taste of a rich meal, making the richness a bit lighter. A lot of wines from Alsace are just sweet enough to balance the power of some recipes.” A bit of residual sugar subdues a bordering-on-heavy dinner. In Alsace, the traditional Christmas meal is foie gras paired with spicy, aromatic Gewurztraminer or velvety, slightly sweet Pinot Gris. Jaegle suggests both would make an excellent pairing with turkey, as would a mineral, powerful dry Riesling. In Alsace, there are so many diverse wines because there is such a varying terroir, climate, and sun exposure. “Alsace is the result of thousands of years of erosion in this seismological area,” Jaegle explains. “On average, soil structure changes every 500 meters, so wines develop thousands of different tastes and aromas.” Rocky granitic soils are ideal for aromatic Riesling wines, while Gewürztraminer and Pinot Noir thrive in limestone-rich clay soils, and volcanic soils foster smoky Pinot Gris and aromatic Pinot Noir. Around 95% of Alsatian vineyards are located on steep slopes for the benefits of high-quality soil and ample sun exposure. Pinot Blanc: “Buttered and delicately balanced with low level of acidity to pair with almost all recipes,” says Jaegle. Riesling: In Alsace, Riesling is dry (except for late harvest dessert wine). It’s the king Alsatian wines—minerally, fruity, powerful, delicate, persistent and complex. Gewurztraminer: In Alsatian dialect, “Gewurz” means spice. With exotic notes of lychee, pineapple, citrus, Gewurztraminer has a hit of spice that compliments rich foods. Pinot Noir: “The only red wine allowed in Alsace, and very often vinificated in Rosé (dark rosé) or used to make Crémant rosé,” says Jaegle. Dry with notes of red berries.